Jake Smolinski singles on a ground ball to third baseman Drew Robinson. Josh Phegley to 2nd. Changeup - Pitch Number: 4, Pitch Speed: 85.8 MPH, Balls 0 Strikes 2. Hit Distance: 117.0 ft., Hit Launch Speed: 85.34 MPH, Hit Launch Angle: 1.6. Ball In Dirt - Curveball - Pitch Number: 1, Pitch Speed: 79.5 MPH, Balls 1 Strikes 0. 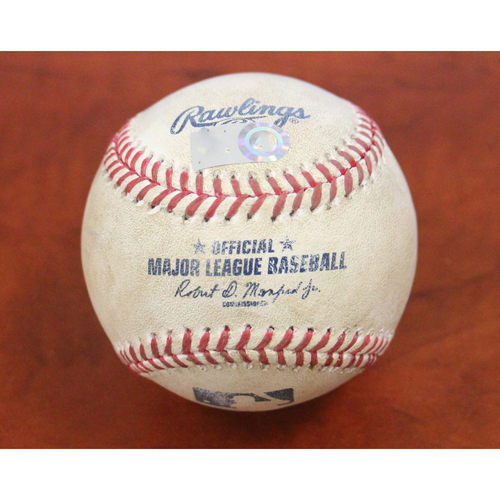 - MLB authenticated, default photo shown.